Gashapon toys are a popular market for collectible toys in Japan, distributed randomly through blind capsule machines. While the individual capsules can range from 100 to 300 yen out of the machine, due to the difficulty of acquiring a complete set, select items in each collection can sell for much more on secondary markets. 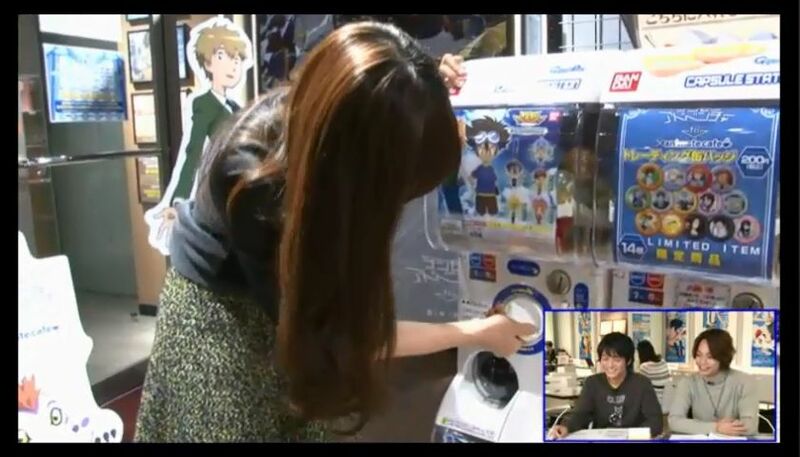 The previous set of Adventure gashapon toys was briefly previewed by actress Mimori Suzuko during the November 20th promotional livestream for Digimon Adventure tri. 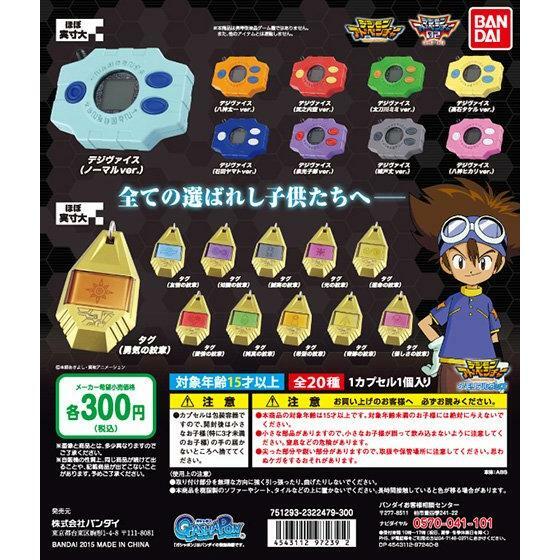 12/06/15 Update: The new gashapon toys have been added to Bandai's online catalog. do you know any website or online shopping where i could buy these thing and send into indonesia? I don't. I can't find them outside Yahoo Japan. yahoo japan auction? can't find one..
well, how about shop in japan ? do you know any shop? maybe i could ask my friends to help me in japan..